So you want to sell without using a real estate agent-here’s an article with some “seriously smart guide to selling your home online”. The housing market is improving and more people are deciding to sell their homes. But it can be difficult to know where to start if it is your first time selling your own home. Luckily, there are many tech tools available for homeowners to help them sell their home online with much less hassle. 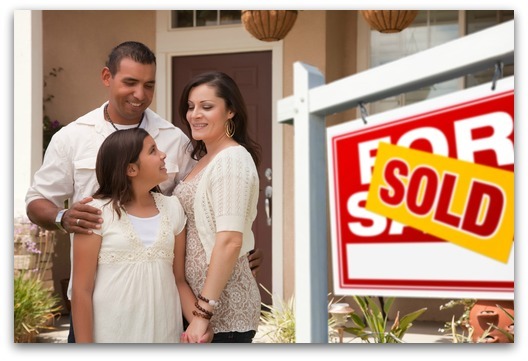 If you want to put your house on the market, turn to online resources to sell faster and get the right price. You don’t need a real estate agent to post your home on a reputable housing market site. Zillow, Realtor.com, Trulia and other real estate portals let you list your home with photos, maps and other information. These sites see a lot of traffic from potential buyers. The downside with some of these sites, however, is that they are not always personal or customizable when it comes to marketing other great features about the home, such as school districts or community benefits. U.S. News suggests a site like Coldwell Banker Homes because it lets buyers search based on lifestyle needs like commute times or neighborhood amenities. Using a wide variety of search platforms is a good idea to make sure you are reaching all demographics. There are probably hundreds if not thousands of homes for sale in your city, and you want your home to stand out to potential buyers. Simply taking some iPhone photos and posting small thumbnail images online is not going to cut it if you want to bring people in. According to Redfin.com, homes posted for sale online sold faster when they had professional photos. And they were more likely to sell above asking price. You may not want to pay someone to take professional photos of your house, but it can definitely pay off in the long run. Consider using a real estate-specific photographer who can do indoor and outdoor photography as well as drone photography. Having the best possible images online will bring in more potential buyers and sell your home faster. It may be a little more work than simply posting your home to a search site, but setting up a dedicated website for the house you are selling will impress potential buyers and let them see more photos and read more about the home than they would be able to through other online resources. You can post those professional photos in high-resolution that will impress home shoppers and you can even use background video or music from sites like Shutterstock to make your site more professional looking. For an extra edge, ForSaleByOwner.com suggests using helpful tools like a listing scorecard or buyer feedback survey on your site to help you figure out what is working or not working during your selling process. If you are having some trouble selling or even getting someone to seriously consider your home, it may be a good idea to hire someone to take your home marketing to the next level. The Guardian recently published an article about online home selling and found that using an online-specific agent can save you quite a bit of money compared to a traditional real estate agent. There are many types of online agents, however, and what you pay them depends on the kinds of services you need from them. Other factors, like your city and home value, are also taken into account. According to The Guardian, online agents can really help with your marketing effort by arranging photography, developing floor plans and advertising your home through professional channels. This can take the pressure off of you, but still give you most of the power when selling your home. However, everyone’s home selling experience is different, so shop around and make sure you get everything you want out of selling your home online.